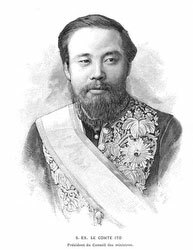 On November 29, 1890 (Meiji 23), the Constitution of the Empire of Japan (大日本帝国憲法, Dai-Nippon Teikoku Kenpo) came into effect. 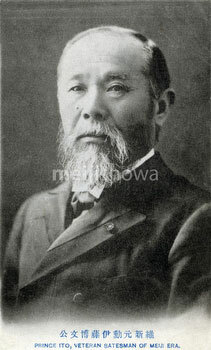 It is also known as the Meiji Constitution (明治憲法, Meiji Kenpo). 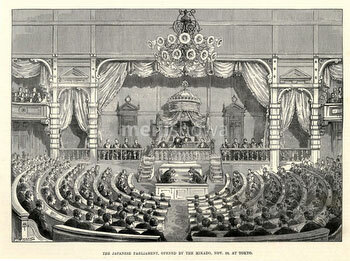 On the same day that the Meiji Constitution came into effect, the first Imperial Diet (帝國議会, Teikoku-gikai), a new representative assembly, convened in Tokyo. 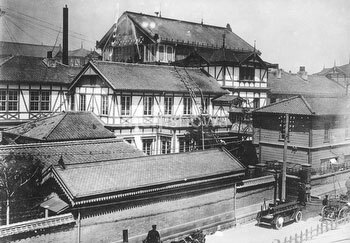 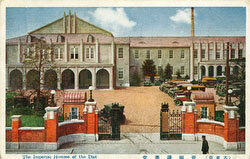 It was the first parliamentary government in Asia and consisted of a House of Representatives (衆議院, Shugi-in) and a House of Peers (貴族院, Kizoku-in). The House of Representatives was directly elected by a limited franchise, while the House of Peers consisted of high ranking nobles. The Meiji Constitution established an independent judiciary and limited the power of the executive branch and the Japanese emperor. Although the new constitution guaranteed civil rights and liberties, it was ambiguous and self-contradictory. 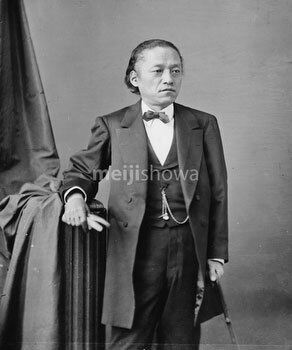 The process for the creation of the Meiji Constitution started when Hirobumi Ito (伊藤博文, 1841–1909) was appointed on October 21, 1881 (Meiji 14) to chair a government bureau to research constitutional government. 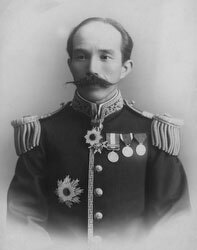 Several foreign systems were studied and eventually the legal structures of Prussia were seen as the best model to base the Japanese constitution on. 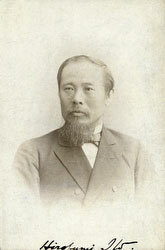 The draft committee included Kowashi Inoue (井上毅, 1843–1895), Kentaro Kaneko (金子堅太郎, 1853–1942), Miyoji Ito (伊東巳代治, 1857–1934), Tomomi Iwakura (岩倉具視, 1825–1883), and several foreign advisors. 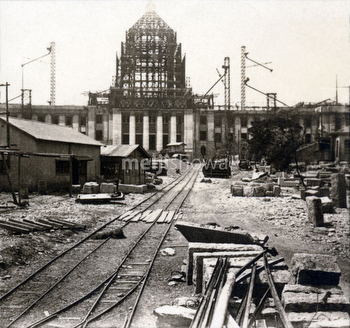 They drafted the constitution in secret and there was no public debate. The final draft was submitted to Emperor Meiji in April 1888 (Meiji 21). 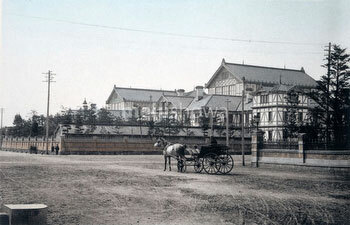 Emperor Meiji promulgated the Meiji Constitution on February 11, 1889 (Meiji 22). It was suspended on September 2, 1945 (Showa 20) when Japan surrendered to the Allies at the end of WWII. 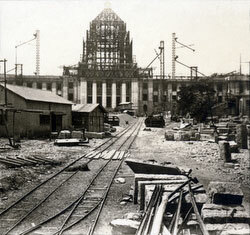 The Meiji Constitution was replaced by a new constitution on May 3, 1947 (Showa 22).